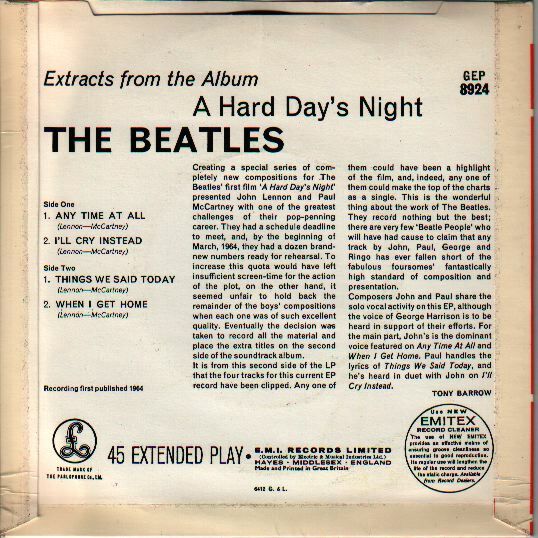 In 1964, Extracts from the Album A Hard Day's Night was released in UK by Parlophone. "Extracts from the Film A Hard Day's Night"
1. "Any Time at All"
1. "Things We Said Today"
2. "When I Get Home"